The rules and regulations enacted by Dallas Paint & Coating Association to provide a framework for its operation and management. Section 1. President: The President shall be the chief executive officer of the Association and shall preside at meetings of this Association. In his absence, the Vice President shall officiate in this capacity. In the absence of the President and Vice President, the Chairman of the Executive Committee or Vice Chairman shall preside at such meetings. Section 2. Vice President: In the absence of the President, the Vice President shall perform all the duties of the President and such other duties as may be assigned to him by the Executive Committee. Section 3. Secretary: The Secretary shall keep a record of the proceedings of all meetings of the Executive Committee and of this Association. He shall also attend to all matters of correspondence, including that connected with the reports concerning membership to the Secretary of the National Paint and Coatings Association, Inc. It shall also be the duty of the Secretary to report to the Secretary of the National Paint and Coatings Association, Inc., new A, B and C members admitted during the year and A, B and C members in good standing in this Association as of the beginning of the fiscal year, i. e., July 1st. Section 4. Treasurer: It shall be the duty of the Treasurer to open such bank accounts in such banks as may be approved by the Executive Committee and to provide for the receipt of all monies due to the Association. Disbursement shall be made by the Treasurer as approved by the Executive Committee, or its representative. Under the authorization of the Executive Committee, the Treasurer shall be empowered to invest the funds of the Association, to sell, convert or exchange securities or property owned by the Association and to execute any document in connection therewith. He shall also keep regular and correct accounts of the transactions of this Association, which shall at 011 times be open to the inspection of the Executive Committee, or to any auditing committee which may be appointed by the Executive Committee. In the event of death, illness, disability or absence of the Treasurer, the President and/or Vice President of this Association is hereby authorized to sign checks and otherwise to perform ad interim the necessary duties of the Treasurer. At the annual meeting of this Association, he shall report upon the financial affairs of this Association. Section 5. Executive Committee: The Executive Committee shall have control of the internal affairs of this Association; they shall receive for consideration and action at their meetings, all reports, resolutions, and communications presented by the officers of this Association, Chairmen of Committees, and members, which in the judgment of the Executive Committee require immediate actions, the benefits and effectiveness of which if held over for the action at an Association meeting would be seriously impaired or entirely destroyed, except changes in the Constitution and By-laws as provided for in the Constitution and By-laws. The Executive Committee shall receive for consideration all reports, resolutions and communications before their presentation to meetings of this Association, which shall be submitted to the Association with their recommendations, provided that any member in good standing may bring any new business which is germane before meetings of the Association. The Executive Committee shall control and take action upon the expenditure of all funds of this Association. The Executive Committee shall have power to authorize the Treasurer to open bank accounts; buy, sell, convert or exchange securities and property of the Association as provided by this Constitution. The Executive Committee may provide indemnity bonds for the Treasurer and such other officers as the Executive Committee may direct. The Executive Committee shall designate the amount of such bonds, such bonding expense to be paid by the Association. The members of the Executive Committee shall elect from amongst their members a Chairman and a Vice Chairman. At their discretion they may elect the President of this Association, Chairman or Vice Chairman of the Executive Committee. Section 1. The annual dues for Class A, Class B, Class C and Class E members in this Association shall be $_______ payable in advance on September 1 for the fiscal year. Dues for Class D members in this Association shall be $_______ payable in advance on July 1st. Dues for Associate Members in this Association shall be $_______ per member per year, payable in advance on July 1st. Section 2. 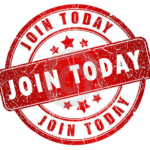 New Members: New members elected during the year shall pay pro-rata dues of $_____ per month for each month beginning the first of the month succeeding their election in this Association until July 1st following. Section 3. Initiation Fee: The initiation fee for new members elected shall be $______ which must accompany application for membership in this Association. September, October, November, December, January, February, March, April, May. The meeting held in April shall be the annual meeting. No change in the dates of such meetings shall be made except by a majority vote of the members of the Executive Committee. Section 2. Special Meetings: The President and/or the Executive Committee may call special meetings of the Association whenever in their judgment it is necessary, or whenever requested to do so in writing by not less than 10% members of this Association. Notice of such meetings shall be sent to members at least 5 days in advance of the date of such meeting. Each of these committees shall consist of 3 or more members to hold office for one year or until the appointment of their successors. Section 2. Chemical Coatings: The President of the National Paint and Coatings Association, Inc., in collaboration with the President of this Association, will appoint annually from the Class A membership of this Association a member of the National Chemical Coatings Committee, who shall act as Chairman of the Chemical Coatings Committee of this Association. The Chairman of this Committee shall have a thorough knowledge of Chemical Coatings, and it shall be his responsibility to organize members interested in Chemical Coatings in this locality, and to maintain close contact with the National Chemical Coatings Committee. The reactions or recommendations of this Committee shall be presented by its Chairman to the members of this Association identified with the Chemical Coatings Group and the Chairman shall furthermore make a report at each regular meeting of the Association. All matters so reported to the local Association shall be acted upon as the judgment of the Association indicates, and all such matters so considered by this Association shall then be reported by the Chairman of the Chemical Coatings Committee to the Chairman of the National Chemical Coatings Committee together with a statement as to the action taken thereon by this Association. Section 3. Trade Sales: The President of the National Paint and Coatings Association, Inc., in collaboration with the President of this Association, shall also appoint annually from the Class A membership of this Association a member of the National Trade Sales Committee, who shall act as Chairman of the Trade Sales Committee of this Association. The Chairman of this Committee shall have a thorough knowledge of Trade Sales and it shall be his responsibility to organize members of Trade Sales in this locality and to maintain close contact with the National Trade Sales Committee. The reactions or recommendations of this Committee shall be presented by its Chairman to the members of this Association identified with the Trade Sales group and the Chairman shall furthermore make a report at each regular meeting of the Association. All matters so reported to the local Association shall be acted upon as the judgment of the Association indicates, and all such matters so considered by this Association shall then be reported by the Chairman of the Trade Sales Committee to the Chairman of the National Trade Sales Committee together with a statement as to the action taken thereon by this Association. Section 4. Production Committee: The President of this Association-shall appoint a Production Committee consisting of five members. The Chairman of this committee shall be a C1ass A member of this Association who is familiar with production problems. Two of the members of this committee shall be raw material manufacturers or wholesalers thereof, who shall be selected to serve for not less than six months and shall be suggested by the Class B members of this Association who are manufacturers of raw materials. The other two members of this committee shall be selected by the local Society for Paint Technology from its membership to serve for not less than six months. It shall be the duty of this committee to bring about a closer knowledge and understanding of production problems of this Association. This committee will render a report of the work accomplished at regular meetings of this Association. Section 5. Nominating Committee: At least sixty days before the annual meeting, the President, subject to the approval of the Executive Committee, shall appoint from among the membership of this Association a Nominating Committee of not less than 3 members, whose duty shall be to nominate a regular ticket at the Annual Meeting of this Association for such elective offices as are prescribed by the Constitution and By-laws, including Delegates and Alternates to the Annual Meeting of the National Paint and Coatings Association, Inc.
Other nominations may be made from the floor by any member having voting privilege. The Chairman of this Committee shall be a Past President of this Association, or predecessor organization. Section 6. The President of this Association shall be an ex-officio member of all committees. Section 7. Reports, Resolutions and Communications: Each committee shall submit, through its Chairman, to the President at least thirty days before the annual meeting of the Association for presentation through the Executive Committee to that meeting of the Association, a written report accompanied by recommendations, if any, on the subjects assigned to said committees. All resolutions, reports or communications presented at the annual meeting pertaining to matters which have not been before the Executive Committee may be referred to the Resolutions Committee for consideration and recommendations. Section 1. Parliamentary: The proceedings of all meetings of this Association, its Executive Committee, and its other Committees where appropriate, shall be subject to parliamentary rules as indicated in Roberts’ Rules of Order. Section 2. Order of Business: (1) Opening of annual meeting; (2) Roll call; (3) President’s address; (4) Treasurer’s report, including auditor’s report; (5) Committee reports; (6) Resolutions; (7) Unfinished business; (8) New business; (9) Election of officers; (10) Installation of officers. Section 3. Each Class A and Class B member is entitled to one vote. 1. To compete always with fairness and honesty, seeking patronage on merit, and service; to refrain from false, derogatory reference written, oral or printed, to competitors or their products; and from the circulation of harmful rumors regarding such competitors’ products, or their personal or financial reputations; to strive, by sincere and intel1igent cooperation with, our competitors, in all lawful ways to increase the efficiency and service to the public of the industry as a whole; to base our advertising exclusively on the merit of our own products and the value of our own service, without false, derogatory reference to the products of competitors or misleading comparisons therewith. 2. To be guided by a spirit of justice, honor and fairness, in all our relations with members of the allied trades, realizing that the standard of ethics, maintained in our industry must vitally affect the standard observed in associated industries; to encourage the adoption by the allied trades of similar codes as guides to govern their practices; and to discourage unfair trade practices in those trades, even though such practices might at times be to our own immediate advantage. 3. To represent our products truthfully in advertising, labeling and branding; avoiding therein all false or misleading statements or descriptions. 4. To avoid and actively strive to prevent all forms of commercial bribery or corruption by members of this Association and by the industry in general; and to this end we pledge our support to the Federal Trade Commission and any other enforcement agency in locating and prosecuting individuals guilty of such practices. 5. To recognize the right of employees to use all honorable and reasonable effort to better their conditions, but to refrain from directly or indirectly soliciting or bidding for the services of the employee of another member. 6. To recognize that only when an employee shall take the initiative shall we have the right to negotiate with such an employee of another member. 7. To refrain from the unethical practice of taking in exchange or in any manner assisting in the exchange of paints, varnishes or other coatings of another manufacturer, distributor or dealer. 8. To adhere faithfully to the rules of conduct herein set forth and to inspire our fellow members to do likewise, believing that the Golden Rule is the only safe guide of conduct in the relations among men. 9. Any violation of this Code shall be referred by the President of this Association to the Executive Committee for consideration and action. Section 1. These By-Laws may be amended at any meeting of this Association by a two-thirds vote of the members present, provided such proposed amendment to the By-Laws supports and is not contrary to the objects of this Association and the objects and policies of the National Paint and Coatings Association, Inc., and also provided that the amendment is submitted in writing to the Executive Committee of this Association and approved by them, after which it shall be embodied in and form a part of the notice of the meeting at which final action is to be taken. Such notice shall be mailed by the Secretary to the membership at least five days prior to the meeting. Section 2. In the absence of the approval by the Executive Committee of this Association of such proposed amendment, these By-laws may be amended by a three-fourths vote of the members present, provided all other conditions herein specified have been complied with. Section 3. This Association will send a copy of the proposed amendment to the National Paint & Coatings Association, Att: Secretary, for inclusion in the permanent files. A copy of adopted amendments should also be furnished.